Anti-aging is to delay, prevent or limit the process of getting old with either a product or technique. Recently, as the standard of beauty has moved towards having a baby face, anti-aging became a huge interest to many people. As an infant, child and young adult, our body cells are strong, resilient and able to quickly generate new cells. However, as aging occurs constantly, cell death also begins. When aging starts, 4 major symptoms are wrinkles, sagging, sunken skin and bulging happen to our faces and body. 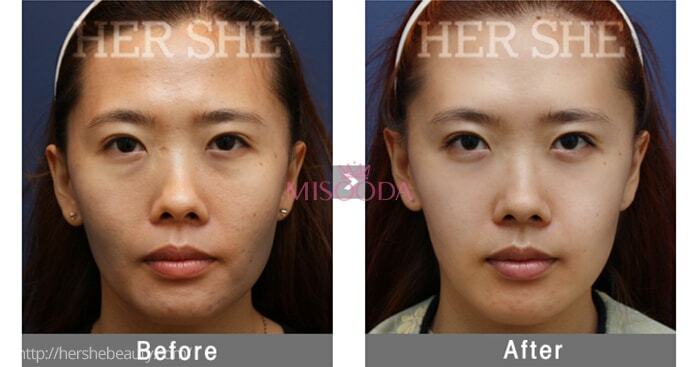 People, especially women desperately want to solve their appearance of looking older. Luckily, there are various anti-aging procedures due to very advanced medical techniques for women going through the aging process and willing to be go back to their youthful look. The marked parts of the photo above are representative areas of the face that cause aging wrinkles, sagging, and flatness as aging begins. In order to look like a baby with a small and three-dimensional face, these parts need to be tightened and volumized. There are many ways to prevent aging: erase the wrinkles, pull up sagging, fill the sunken areas etc. categorized as anti-aging procedures. Who are the candidates for anti-aging surgery? General price guide line for Anti-aging Surgery in Korea is USD$1,400 to USD$18,200 according to Korea Health Industry Development Institute. The price is decided in a variable range depending on the method and difficulty of the patients’ case.